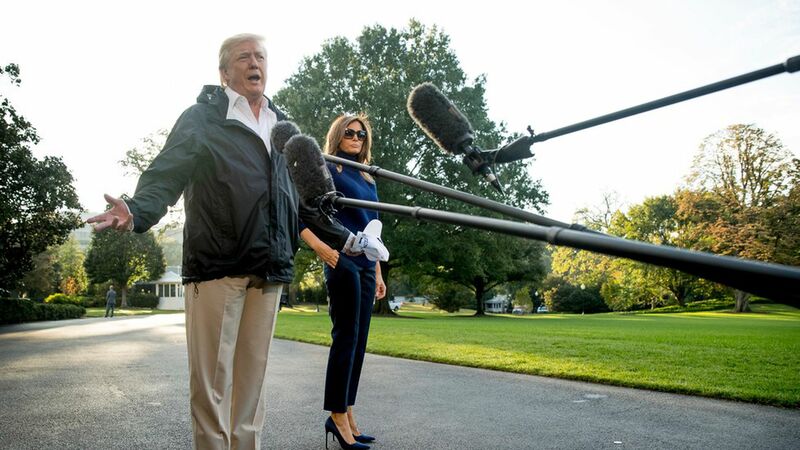 Trump calls Las Vegas shooter a "sick, demented man"
President Trump stopped to chat with reporters on the White House South Lawn Tuesday morning before departing for Puerto Rico. He praised the efforts of the Vegas police, stating that they have done an "incredible job," noting that "what happened in Las Vegas is in many ways a miracle." He then called the shooter "a sick man, a demented man, a lot of problems I guess… we're dealing with a very sick, sick individual." On criticism of the federal response: "We were just as good in Puerto Rico [as in Texas and Florida], but it was a much tougher situation. But I'll tell you the first responders, FEMA, they've done an incredible job." He claimed even his critics, like San Juan's mayor, are "coming around" to that view. Despite that, Trump said "we need more help locally" from Puerto Rican residents, including truck drivers. He has been heavily criticized previously for blaming Puerto Ricans in part for their misfortune.